The mission of the FVC Family of Companies is to provide leadership and knowledge along with differentiated services and solutions to swine and beef farms. Maintain a balance between animal well-being, economics and people, without compromising integrity. Provide customized options for health, management and production issues. Strength is generated from collaboration and concern for others. The Fairmont Veterinary Clinic (FVC) had its beginning in 1959 when Dr. Dave Johnson (MN ’59), just out of college, started a veterinary practice in Welcome, MN. Two years later, Dr. Ralph Johnson (MN ’61) graduated and started working for Fairmont veterinarian Dr. R. Rieke. Ralph worked for the Rieke Veterinary Clinic from 1961 to 1964. In 1964, he went to Benson, MN for one year but came back to the area in 1965 and started his own practice in Swea City, IA. About 1964, Dr. Fitch, another veterinarian from Fairmont, was killed in a car accident. Dr. Dave Johnson purchased Dr. Fitch’s Fairmont practice. Dave hired Dr. C. Kent Kislingbury (ISU ’64), a new vet graduate, to help run his newly expanded area of practice and the main clinic was moved to Fairmont. By 1968, Dave, Kent, and Ralph’s practices were all expanding and prospering. The three developed a strong relationship by helping each other out when needed and in 1968 the two practices merged. At the time of the merger in 1968, Dr. Dan Skow (ISU ’68) was hired. Dan moved to Welcome and took over the work in that area. Dave moved to join Kent in Fairmont and to work primarily in the Fairmont area with Ralph still working the Iowa side of the practice. The first Fairmont Veterinary Clinic was located where John Korsmo State Farm Insurance is now located (east of Five Lakes Centre). By 1973 there were six veterinarians working in the practice and a new clinic was built. This building is the current Chain of Lakes Pet Hospital owned and operated by Dr. Dennis Katzer. (ISU ’84). Camalot was formed in 1987 and was the first "user group owned" PIC multiplier ever built and served as an example for future user groups across North America. FVC provided the book keeping and financial services for this group. Veterinary technician Barry Hilgendorf was responsible for this management which eventually became Preferred Capital Management. PCM was managed under Barry’s guidance until August 2014. Today, Brian Roggow is the CEO which manages swine farms in several different states. 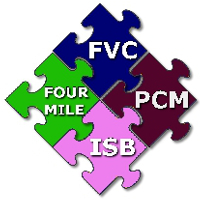 In 1990, the first PigCHAMP Bureau was created within the FVC. 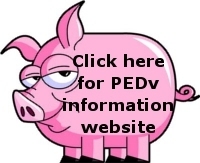 This allows clients to have accurate swine data for decision making purposes. In 2008 the data system went on-line and producers have access to records 24 hours a day. Over 75,000 sows are currently tracked by the Bureau and it continues to grow. By 1990, the Clinic, along with Omega Nutrition, had outgrown the 1973 facility so the Midwest Sports building/property was purchased for the Omega warehouse/offices. The present FVC building was built in 1990 on the land to the south of the warehouse and the Clinic moved into it in February of 1991. At that time, Dr. Dennis Katzer took over the companion animal portion of the practice. In 1994, Fairmont Artificial Breeders (FAB) was formed and was owned by a network of around 40+ investors. Veterinary technician Doug Faber was manager at the beginning and continues to do so. This was the first user group Boar Stud in North America. The year 1995 brought more changes to the veterinary practice. The office in Swea City closed and all operations were moved to Fairmont. In addition, the practice was limited to serving the swine and beef industries. Omega Nutrition outgrew its facility and in 2000 moved to the former John Deere building in the industrial park on the west side of Fairmont. In 2004, Omega Nutrition was sold to a group known as Devenish Nutrition. Today, there are nine full time veterinarians serving the swine and beef industries, each with their own strengths and areas of expertise. Together, with the assistance of an excellent staff, the Fairmont team consults in several states fulfilling a broad array of needs for their clientele. In addition to consulting and traditional medicine, the team does a great deal of research and development both at the Clinic as well as partnering with other companies involved in agriculture. The Fairmont area is fortunate to have livestock producers who are innovative, ambitious and are willing to try the latest products, equipment, and management techniques to keep them on the cutting edge of industry productivity, efficiency, and profitability. Implementing new ideas and embracing change and the opportunities changes bring, has allowed FVC and its clients to stay competitive and profitable. Over the years, many veterinarians have come and gone. The following is a list of veterinarians that were associated with FVC.